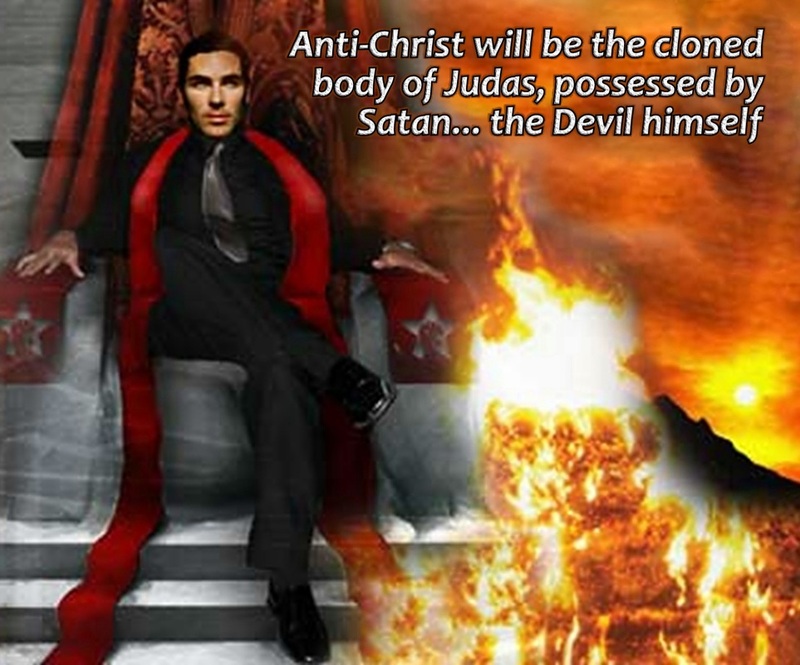 The Antichrist to come is none other than ﻿JUDA﻿﻿S﻿ who will be ﻿RAISED﻿ from the dead, most likely, via ﻿CLONING﻿. 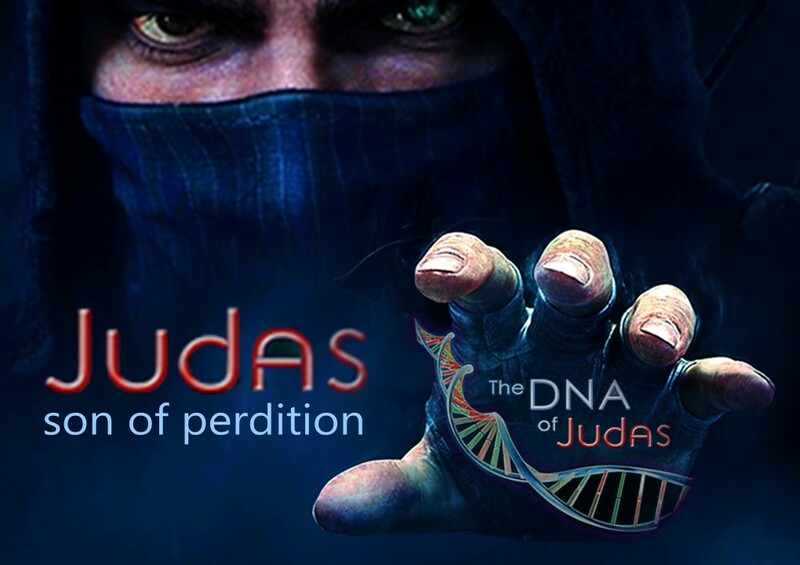 The DNA of Judas was most likely stolen by Satan when Judas hanged himself and blood gushed out onto the ground. 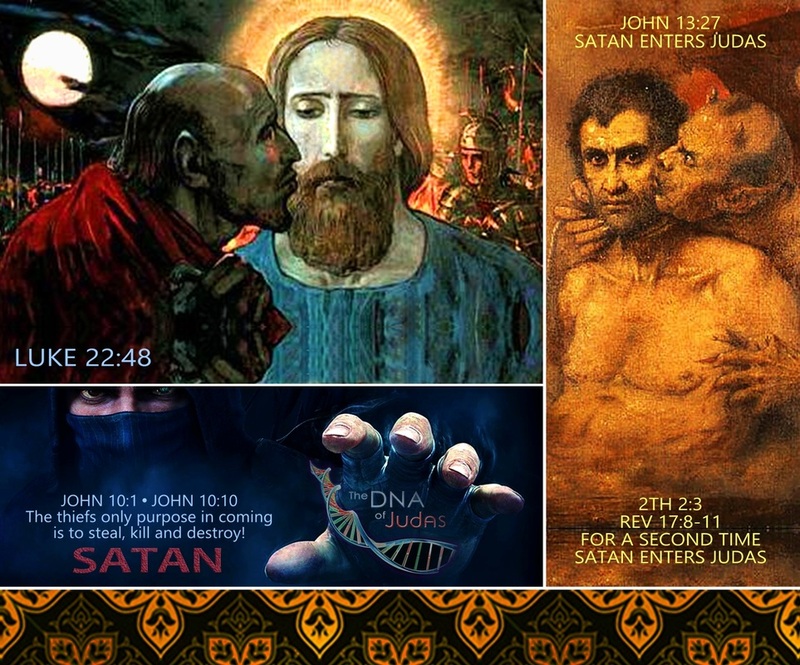 Satan evidently has extracted, preserved and reserved a ﻿DNA SAMPLE﻿, from JUDAS, to be used for cloning Judas in the latter-days, so that Satan may enter Judas for a second time! We will discover striking similarities below, in more detail, that both Judas and the Anti-Christ are called ﻿SON OF PERDITION﻿. First, lets begin with the ﻿ALPHA-NUMERIC CHART﻿ below and left, that is based on ﻿BIBLICAL CALCULATIONS﻿ as found in Revelation, chapter 13, verse 18, which instructs those who have wisdom, to use the Base number of (﻿6﻿) in their calculations. Using such biblical calculations, notice that the phrase/name; ﻿JUDAS RAISED﻿ adds up to “﻿666﻿” according to the method of CALCULATION recommended in ﻿Rev 13:18﻿. Also read the Bible verses listed below to fit the pieces together of this mysterious puzzle, question and answer! ﻿Mark 14:21﻿ ~ Woe to that man by whom the Son of man is betrayed! Good were it for that man if he had never been born. ﻿John 6:70﻿ ~ Jesus answered them, Have not I chosen you twelve and yet, one of you (Judas) is a DEVIL? ﻿John 13:27﻿ ~ And after the sop ﻿Satan entered into him﻿. Then said Jesus unto him, that which you are about to do, do quickly! them is lost but the ﻿SON OF PERDITION﻿﻿﻿; that the scripture might be fulfilled. the pit, a place designated for Judas, only to reappear on earth in His physically cloned body, as the son of perdition? ﻿Rev 17:8﻿ ~ The beast that you saw ﻿was﻿ (alive in past), and ﻿is not﻿ (presently dead); and ﻿shall ascend﻿ (in the future) out of the ﻿bottomless pit﻿, (﻿from his own place?﻿) and will GO INTO PERDITION (﻿into Judas cloned body﻿): and they that dwell on the earth shall wonder, whose names were not written in the book of life from the foundation of the world, when they behold the beast that ﻿was﻿ (lived in past), and ﻿is not﻿ (dead at time written), and ﻿yet is﻿ (come alive in future). 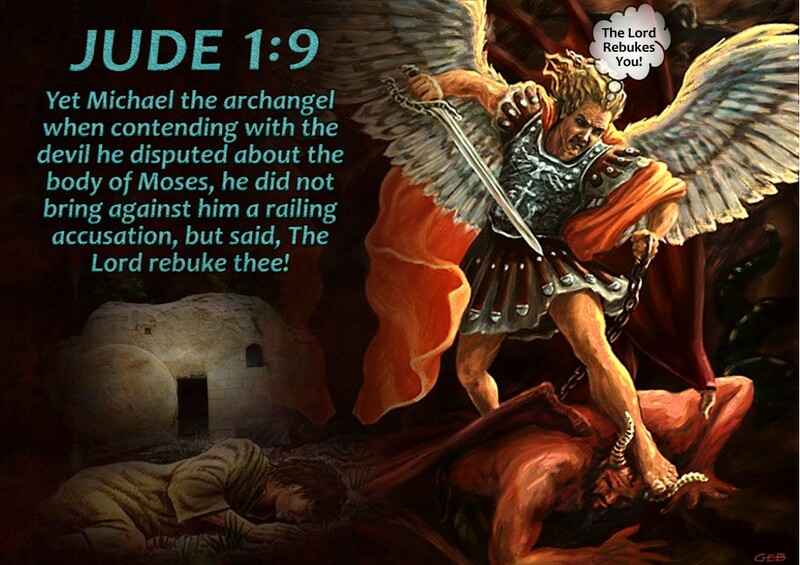 Finally, isn't it interesting that Satan fought Michael the Arch-Angel over the dead body of Moses! 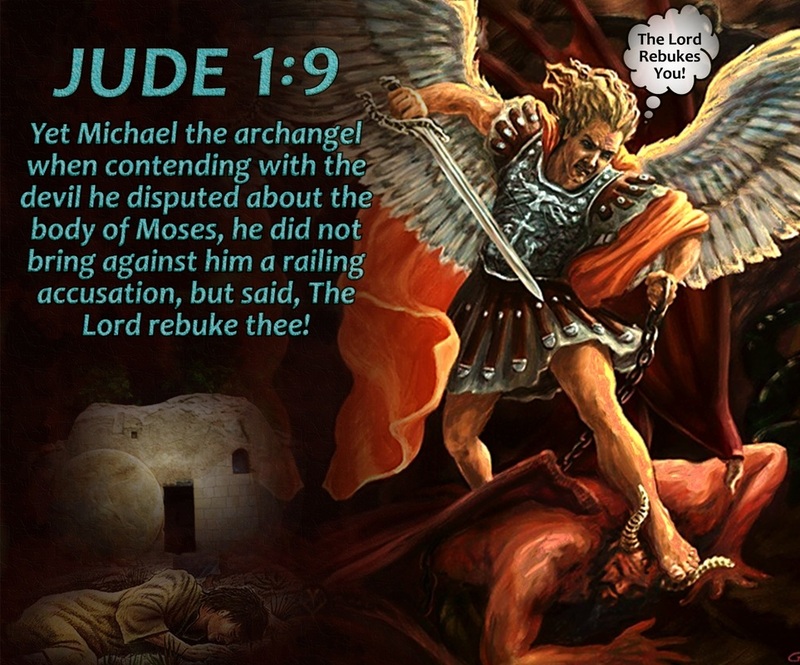 -(Jude 1:9). But why? Did Moses body have some rather unique qualities about it? 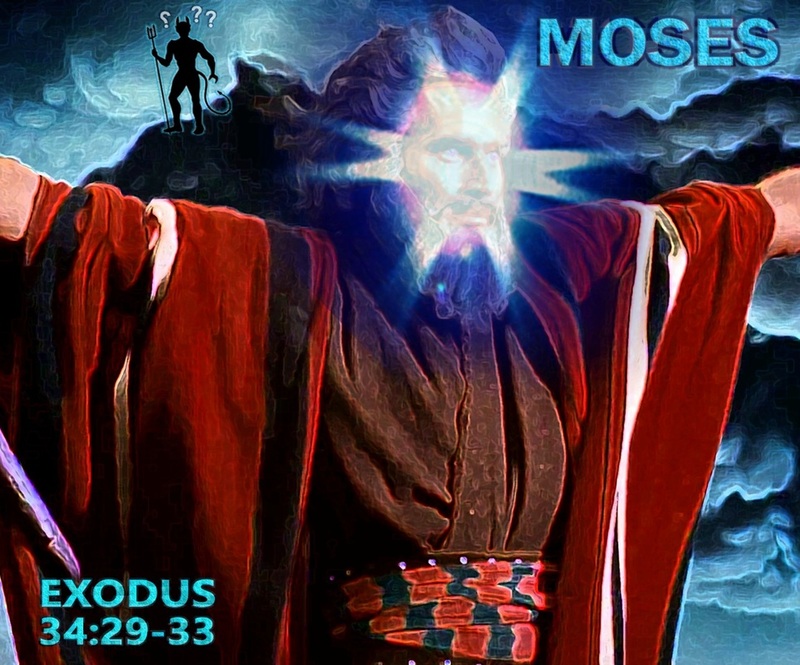 The Bible says that Moses died at the age of 120-years old, yet ﻿Moses' eyes were not dim, nor was his vigor﻿ (strength) ﻿abated﻿. -(Due 34:7). 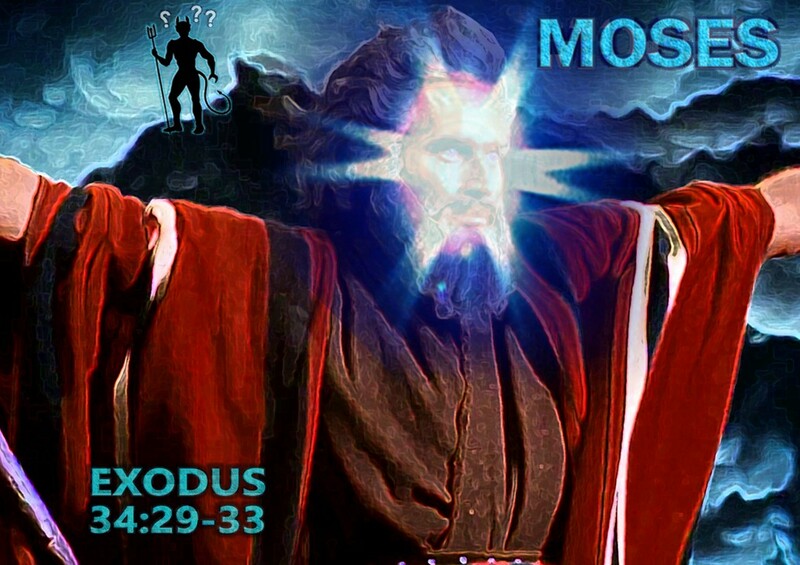 Moses, at one point in time, had spent 40-days in the very presence of Almighty God surrounded by His glory! When Moses came down from Mt. 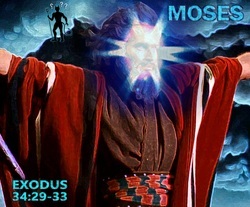 Sinai, his face shown so brightly that others could not speak face-to-face with Moses. They immediately placed a veil around Moses' face, so that they could stand in Moses' presence accordingly -(Exo 34:29-33). 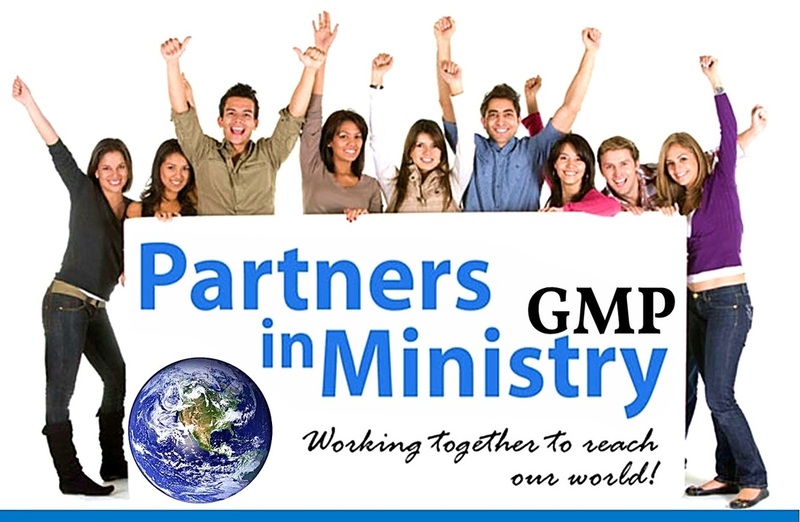 This 40-day period that Moses spent with God, evidently sustained and rejuvenated Moses body to the point of ﻿SLOWING DOWN the DECAY PROCESS of DEATH﻿ within Moses' members! Satan surely took note of this and wanted that DEAD BODY of MOSES. Why? ﻿I would contend that Satan wanted Moses body as a SPECIMEN for EXPERIMENTATION and/or to EXTRACT DNA from the body of Moses for the sole purpose of REPRODUCING these SAME YOUTHFUL EFFECTS of longevity for humans, to dangle such "Fountain of Youth" like a carrot before a horse﻿, In Satan's thoughts, he ponders, if only humans would simply bow down, worship me and take my Mark upon/within them... 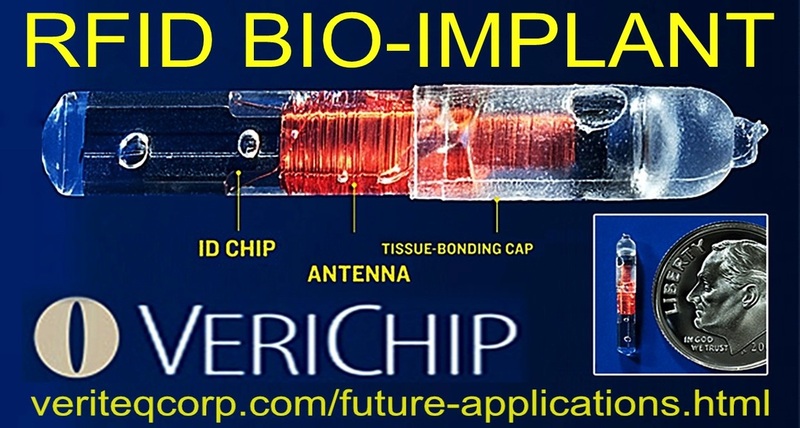 Even back then, over 4,000-yrs ago, Satan was scheming away, to steal the DNA of humans and to somehow tweak and MINGLE their seed with His Angelic seed (Dan 2:43), hoping to unlock the secrets to Eternal Life for humans, so as to appear as a Savior unto them! Satan appears to have found a perfect specimen.... ﻿JUDAS﻿! It is a well established theory and practice among biblical scholars and theologians alike, that when one seeks to understand scripture, the meaning lies within scripture itself. Jesus, the Prophets and Apostles looked to ALL of scripture as authoritative in all matters pertaining to life and godliness -(﻿Mat 22:31﻿ ▪ ﻿2Pe 1:3-4﻿), especially, regarding the answers to EVERY Last-day prophecy! Such answers can ONLY be found in scripture, with most stories being verified in history and by subsequent archaeological discoveries! No outside interpretations are needed, nor should be desired. And finally, Jesus constantly referred to the scriptures when teaching! Jesus placed great faith, trust and credence in the Holy scriptures as matter of fact, by often repeating these words; "﻿It is written﻿" and "﻿Have you not read﻿" and "﻿Have you not heard﻿" accordingly. 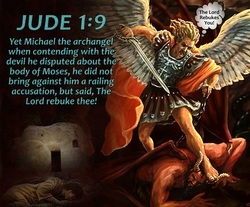 Jesus spoke of all the Old Testament Bible characters as real persons, whose stories were legit and to be learned from. Jesus spoke of Adam and Eve, Noah and his ark, Abraham, Isaac, Jacob, Moses, Daniel, Jonah and the Whale and more! Hence, what does scripture say about the Anti-Christ? What does scripture say about Judas? Is there striking and remarkable correlations between the two? 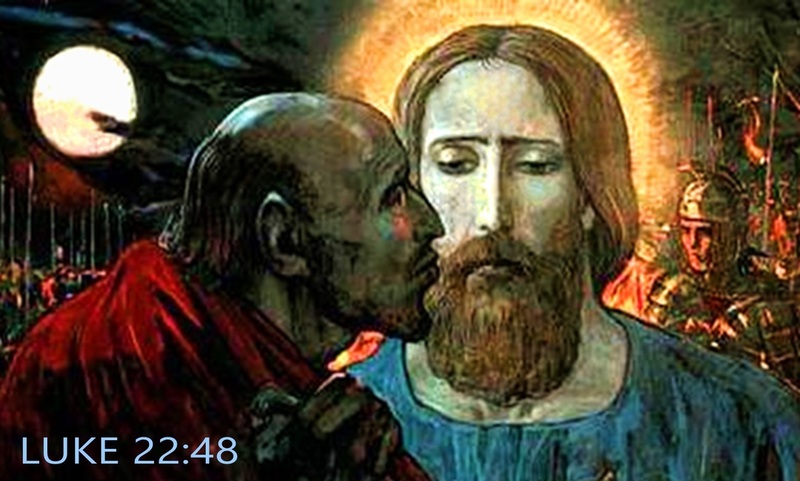 Jesus pointedly calls ﻿JUDAS﻿ the ﻿SON OF PERDITION﻿. The Apostle Paul describes the ﻿ANTI‐CHRIST﻿ to come, as the ﻿SON OF PERDITION﻿. 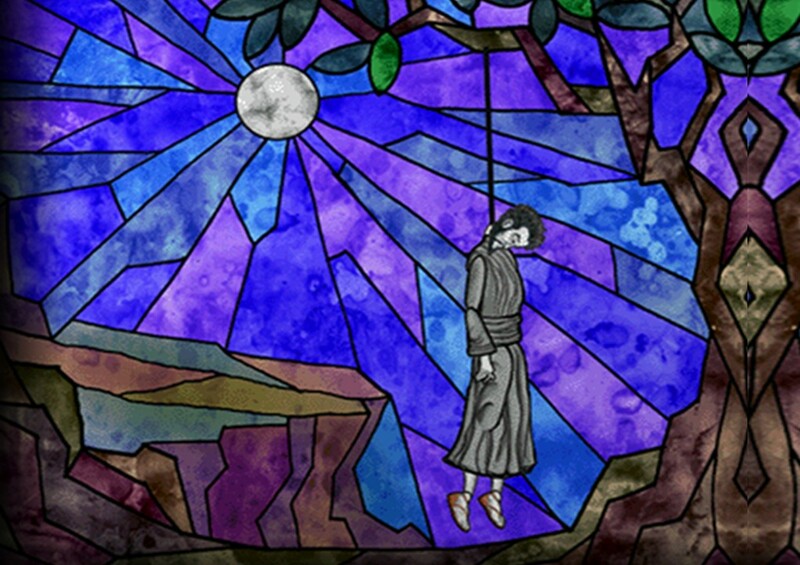 The Bible says that ﻿JUDAS WENT TO HIS OWN PLACE﻿ upon death. Scripture says this about ﻿NO OTHER MAN﻿, but says, ﻿ALL OTHER MEN﻿ will eventually die (﻿﻿﻿or be raptured﻿﻿﻿) and go to HEAVEN or HELL, but not so with this man, ﻿JUDAS﻿. The man Judas must indeed be a unique man, but unique in what way? 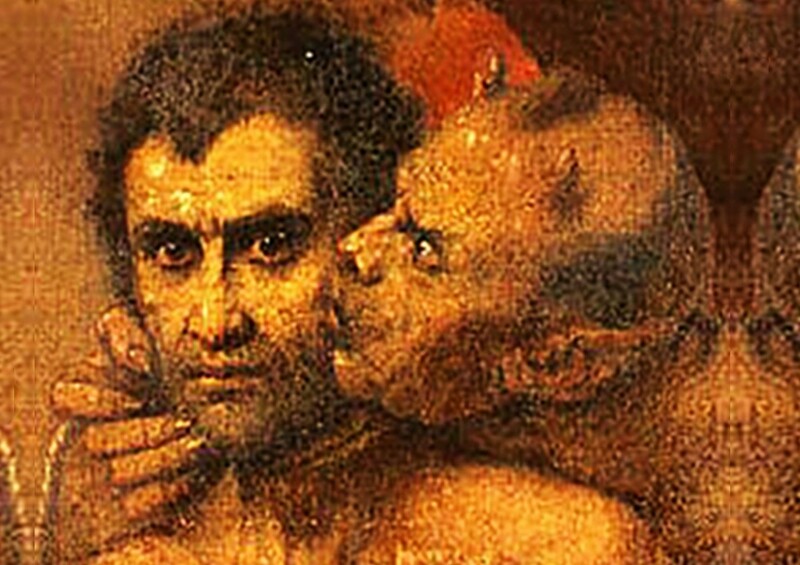 Jesus called Judas a ﻿DEVIL﻿. 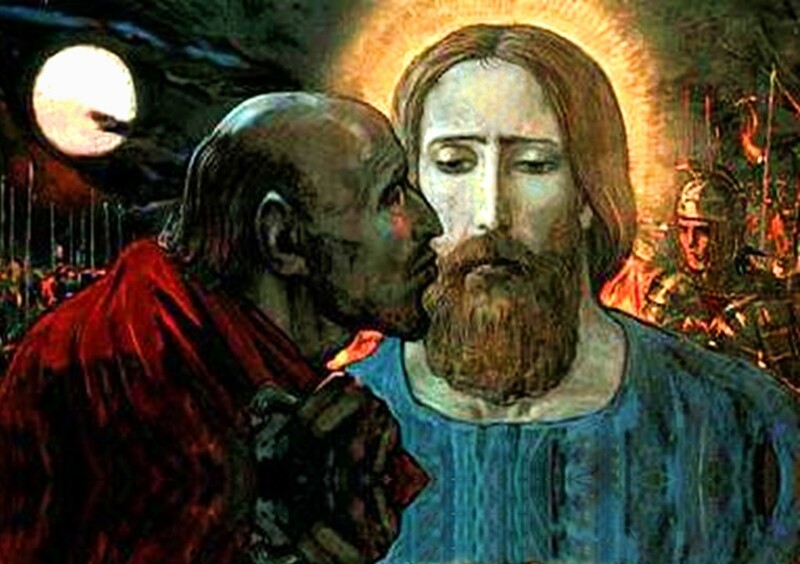 Nevertheless, ﻿﻿JUDAS﻿﻿ is the only human to be assigned ﻿HIS OWN PLACE﻿ in the depths of the pit. Please note, that ﻿HELL﻿ and the ﻿BOTTOMLESS PIT﻿ are 2‐separate places. They BOTH are NOT THE SAME but both are most likely attached to each other, with separate compartments, like that of a house, which has many rooms, yet all rooms make-up the whole of the house. Likewise with the vast levels of HELL. Nevertheless, scripture reveals that ﻿NO OTHER MAN﻿ except ﻿JUDAS﻿, has his own place (﻿bottomless pit?﻿) after death, who will then ASCEND out of HIS OWN PLACE or BOTTOMLESS PIT and GO INTO (﻿posses﻿) PERDITION (﻿eternally damned/clone of Judas?﻿). This is a strange, distinctive, unique location and assignment given to one man! Why the special treatment? Why the distinction? 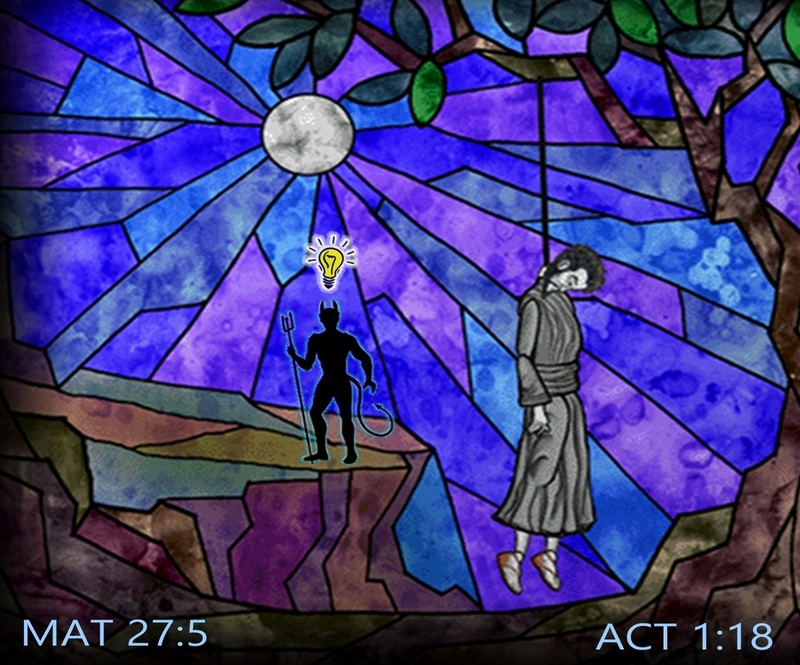 which Judas by transgression fell, that he might go to his own place. 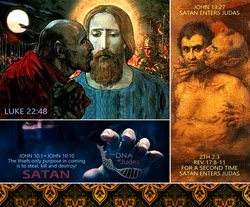 Satan and/or God himself, have most likely, kept in store a DNA sample of the Body of Judas, to be cloned/raised for SATAN to inhabit, to his own demise and detriment, using such body for His Last-Day appearance as Anti‐Christ, to Rule and deceive all those upon the earth, who ﻿LOVE NOT the TRUTH﻿ -(﻿2Th 2:9‐12﻿). Herein lies the scriptural truth of the identity of ANTI‐CHRIST accordingly. In light of current advancements in technology, cloning and numerous discoveries from Genome and Epigenome Research, all the above conclusions are well within reach and could literally be achieved. Given the history and way of man upon the earth, with DNA mapping and Genome research being the science of the day, more than we know and are ready to admit, men on this planet are surely playing God in laboratories worldwide! 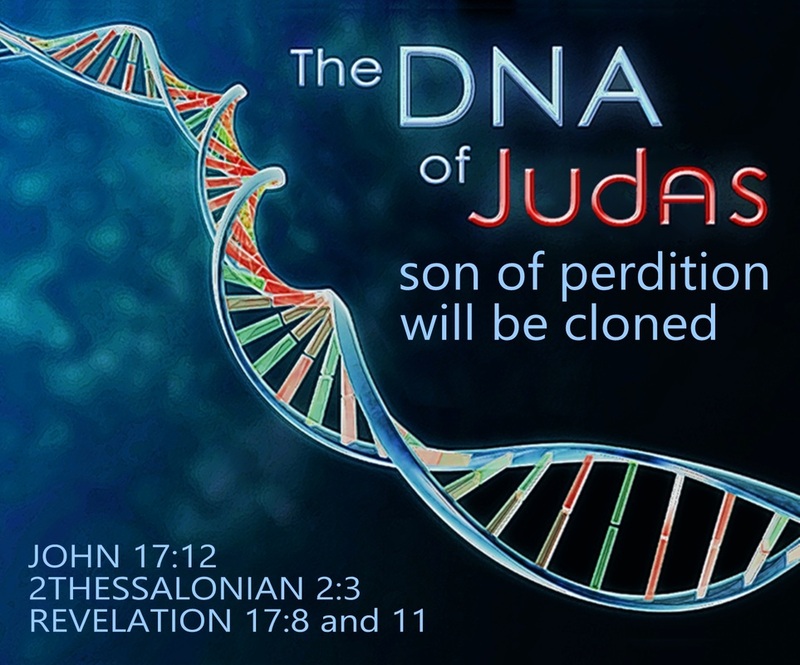 Such DNA technology of the day is both feasible, reasonable and available to resurrect the Body of Judas, via cloning, if indeed a DNA SAMPLE of Judas existed and was in the possession of Satan himself. Both the MOTIVE, HISTORY of Satan, and with the current TECHNOLOGY of the day, supports such THEORY above and falls within the realm of possibility! 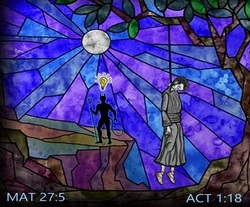 However, long before Satan was ever created, God already possessed Eternal Life and only HE ALONE can determine WHO can have and/or dispense Eternal Life and that Eternal Life in His Kingdom can only be found in Jesus, the Lamb of God who was slain before time began, who boldly and loudly proclaimed; ﻿I AM THE WAY, THE TRUTH AND THE LIFE AND NO MAN COMES TO FATHER EXCEPT THROUGH ME﻿ -(﻿John 14:6﻿). Jesus also said, ﻿I AM THE DOOR﻿ ~ ﻿HE THAT ENTERS NOT BY THE DOOR INTO THE SHEEPFOLD, BUT CLIMBS UP SOME OTHER WAY, THE SAME IS A THIEF AND ROBBER﻿ -(﻿John 10:1-7﻿). Satan and his seed, Judas, are thieves, counterfeiters, will climb up some other way (as Jesus intimated), and lay sole claim to the patent/blue-print for Eternal Life, but it is not for them to give or withhold. Such power to give Eternal Life, belongs to the Son, Jesus - (﻿Joh 17:2 ▪ Rev 1:18﻿) and woe to those who steal it or misappropriate it by some other way! 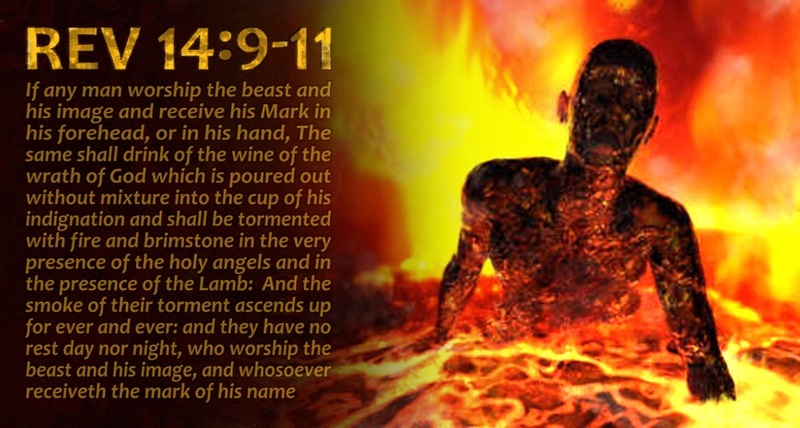 Satan and those who receive His Mark, may indeed gain Eternal Life via some other way, but He or they will not gain Eternal Life in God's Eternal Kingdom, but He and they that take His Mark, shall gain Eternal Life in the Eternal Lake of Fire and suffer Eternal Torment ~ (Rev 14:9-11).